Prom night, and she is the envy of every girl and the center of attention of every guy. All eyes are on her, she is alluring, and classic in her beauty. Don’t doubt it for a second, she CAN dance! Star quarterback’s girlfriend? NO sir, we're talking about the Springfield 1911 A1, and if I may take a bit of poetic license here, she is the most popular girl at the dance! John Browning’s 1911 single action, semi–auto handgun will not only go down in history as one of the most produced and widely used handguns of all time, it continues to be the handgun of choice for many sports shooters and militaries around the world. The 1911 A1 was in service in the US Military from 1924 until 1990 and is still carried by some special forces and ops units today. 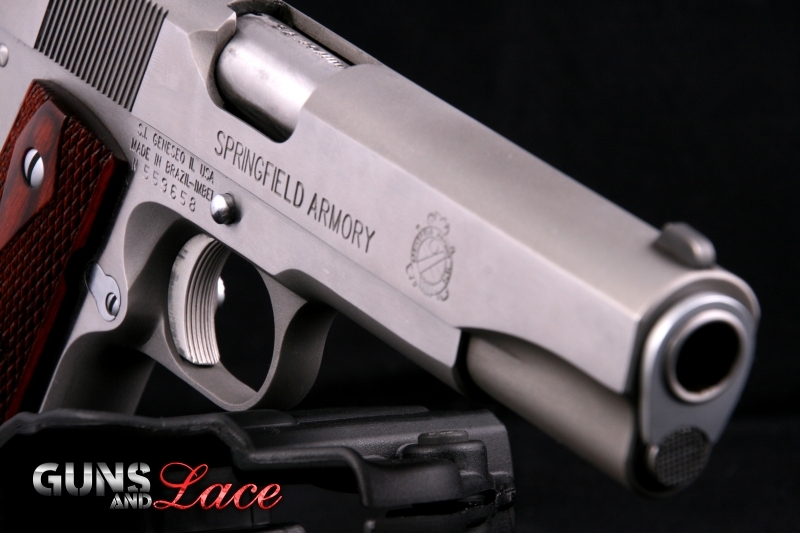 Springfield Armories reformed in 1974 to continue the legacy of their earlier production models, and with a renewed passion and commitment to quality, again began offering fine firearms including the 1911 A1. 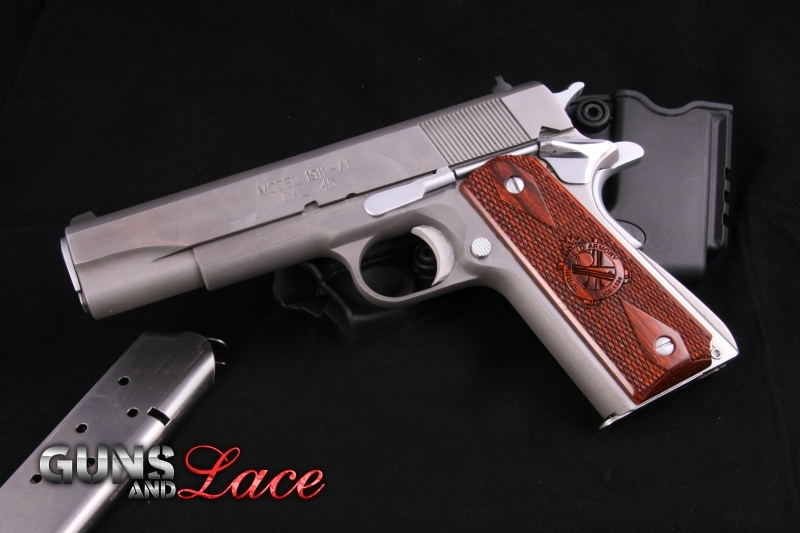 There is no lack of wardrobe or accessories available for a 1911. They can be, and are regularly customized in just about every possible configuration and add on. From customized triggers to supressors, match barrels to custom slides and grips, the 1911 with its naked beauty, can dress in everything from designer clothing to utility uniforms with style. Just as the queen of the ball stops all conversation when she enters the room, the stopping power of a .45 caliber, 230 grain, full metal jacket round fired from a 5” match grade barrel packs a punch that grabs serious attention! Angel Alabaster is a licensed massage therapist. She has a way about her that makes her instantly the best friend you never had. Miss September is one sweet and beautiful woman. Don't let the sweet looks fool you, this Angel can shoot, be it a handgun or the latest AR-15 rifle. Angel can handle a gun, and she does it left handed! She has a sweet voice, kind smile, and eyes that you can swim in, and we guarantee she will carry your heart away quicker than Venus the Goddess of Love. At night you'll find her working as a DJ in one of Seattle's popular clubs, or singing for the local tourists on one of the more popular tours in town. Her favorite quote: "Never take life too seriously, cause no one gets out alive!" I recently had to switch to shooting handguns left handed. 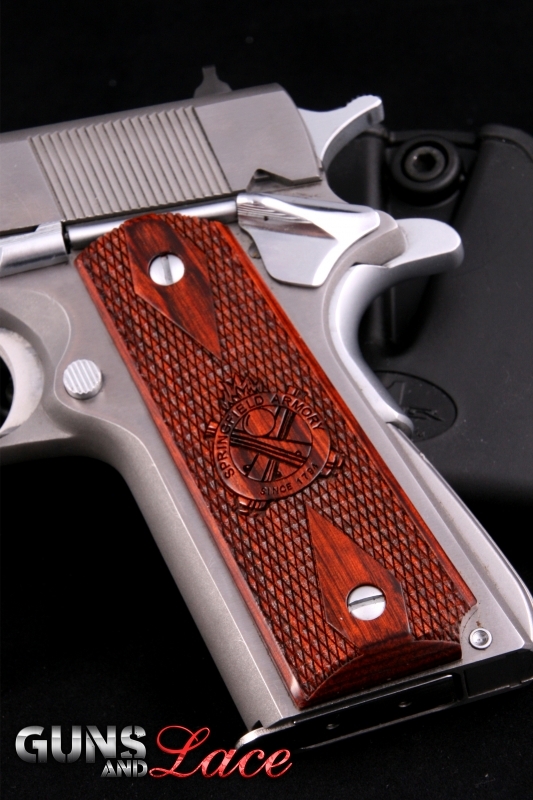 I use a Rock Island Armory 1911. Great choice in firearms. You are one beautiful young lady. Good luck with whatever you want to do.